Lemon Harangue Pie: Lightsabers soon to be a reality? Though quite popular a long time ago, in a galaxy far, far away, lightsabers are rather hard to come by on our planet. The technology to produce them has eluded us. Until now. This new state of matter is surprising and interesting, as photons are considered to be massless and incapable of interacting with each other. 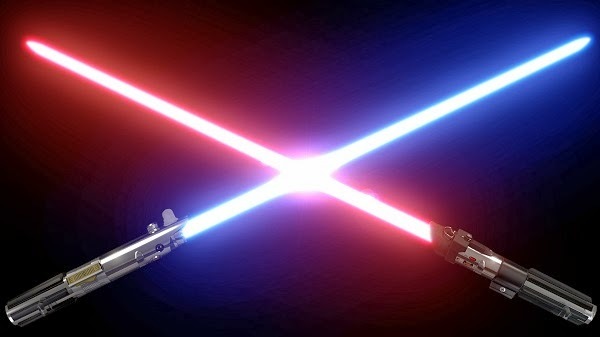 According to the research group’s leader, who has the unbelievably coincidental surname Lukin, these photonic molecules behave somewhat like lightsabers from the Star Wars universe, with the photons pushing and deflecting each other, but staying linked. For an explanation of how it all works, read the full article. Finally! One of my childhood dreams may actually have a chance of coming true!